single-channel amp. One for the feel players… and then some. Based on our V40 Deluxe but with 100 watts of glorious 6L6 headroom, long-tank spring reverb and an extra Mid Kick option. Our V40 Deluxe is enough for most… but lovers of high-headroom dynamics asked us for more. We delivered with V140 The Super Duchess offering classic American cleans through to pushed tweedy grit and driven British blues-rock. We also added a valve-driven long tank spring reverb for ultimate depth, plus an extra Mid Kick position for those giant, expressive cleans with body and sustain to spare. 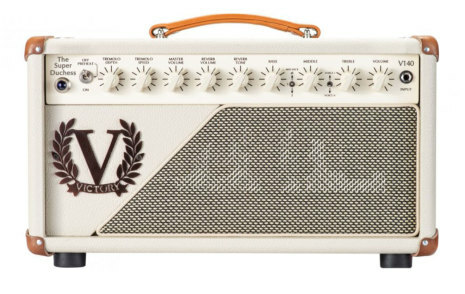 Go from massive Californian tones with single coils, through to a driven mid-’60s British drive all in one channel. Voice II strengthens the midrange at the input for more punch and cut. Compared with V40 Deluxe, V140 is bigger, stronger, fuller and more strident across the board for those who want it. Works in conjunction with the middle pot to boost midrange frequencies in the EQ section. The more you push the mid pot, the more it pushes overdriven sounds, especially with humbuckers. Position 2 is new (compared with V40 Deluxe) and is extra strident and cutting. Beautiful clarity with cleans too. 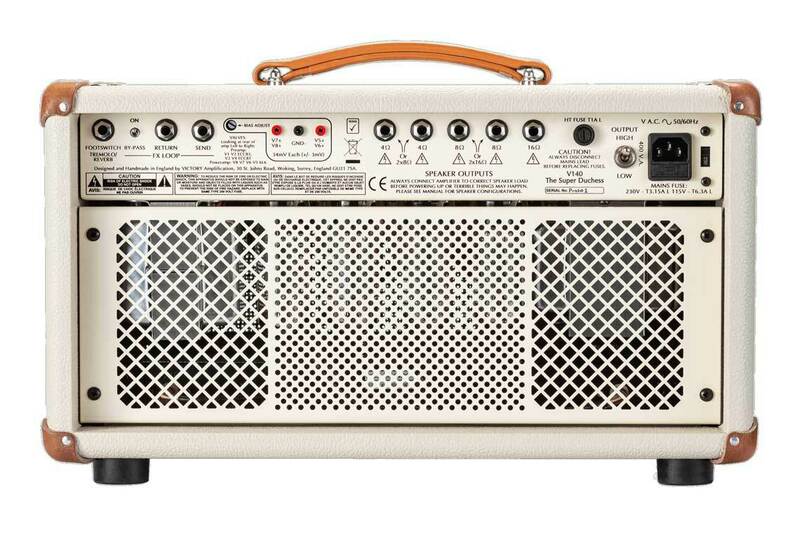 ​V140 has a valve-driven-and-recovered long-tank spring reverb, for authentic, vintage-style ’verb. We've also included a Tone pot on the reverb that enables you to go from smooth, dark ambience to much more bright and 'springy' sounds. The reverb is also footswitchable on and off. Tremolo was one of the first ever guitar effects that's been put to stunning use in everything from blues, rock'n'roll, country, rock, Americana, pop and more. It's much loved in the V40 Deluxe, so we included it here as well. A little or a lot, especially with reverb – utterly addictive! If 100 watts is too huge for some environments, you can switch down to 30 watts. It's still plenty loud but the feel and dynamics are different, enabling you to explore different sounds and textures either standalone or with your favourite pedals. The hard-bypassable effects loop enables you to use delays, reverbs etc after the preamp section of the amp to keep them clean sounding, especially if you use drive in the amp. V140 is a fantastic pedal platform either straight in the front or using the loop.